Observed along the shores of Lake Bogoria, Kenya. October 2010. These birds hunt mostly small arthropods that occur in shallow water or wet short-grass areas. There is a small claw beneath the feathers in each wing used occasionally in defense. These birds are conspicuous in plumage and with their loud calls. 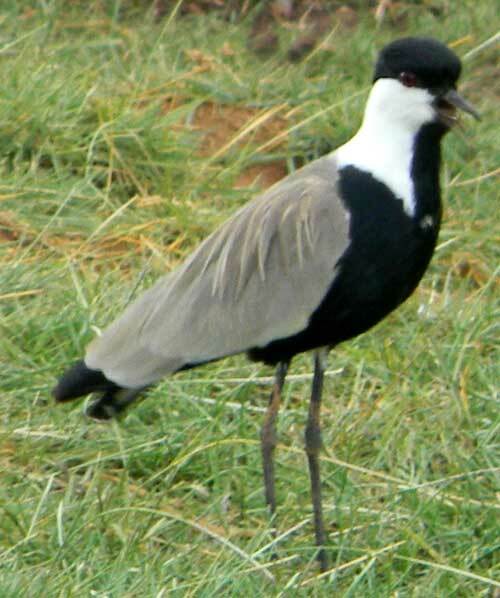 Spur-winged Lapwing ranges across northern and Sub-Saharan Africa and also the Mediterranean. Copyright Michael J. Plagens, Page created 31 December 2010.